SM Megamall has got everything you need, crowds as well. There is something alluring about SM Malls, particularly the SM Megamall. Before the rise of many shopping malls in the Philippines, there was SM or its original name, Shoemart. Good old reliable SM. Everything you need, even things you may not necessarily need but upon seeing, just need to have, think Papemelrotti. There is just something nostalgic about SM Malls, it has truly been with us through the years. 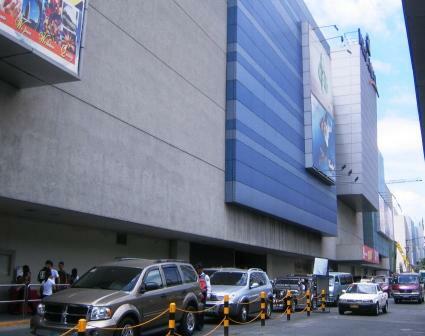 Before the rise of the massive SM Mall of Asia along Roxas Boulevard, the largest SM Mall was the SM Megamall, along Edsa Avenue. Due to its size, it was conveniently split into Mega A and Mega B, making store locations quite easier on those who only saw it as one huge strip of a shopping mall. Like all SM malls, the target demographic is everyone. SM Megamall has been known for its mass appeal. This is the place shopping and dining are at a relatively fair, if not, bargain price, maybe its best to say mid-range. Now because of its affordability, one can always expect the mall to be somewhat packed. When the sales are on, the Megamall can be chaotic, but the trick is to walk fast and keep your shopping bags close. What sort of shops are in the SM Megamall? The stores in SM are countless and diverse, selling just about everything, though ask anyone and one store you should definitely check out is SM Department Store. Be it kitchenware, clothing and accessories, shoes, toys or home accents. It is nearly impossible to leave the store empty-handed, much less SM Megamall. Now if you are after electronics, SM Mega has its designated electronic hub, where there are stores selling items from cellular phones, blank CDs, LCD monitors, laptop computers and software. Even an art collector has a designated sanctuary, with a row of art galleries showcasing and selling paintings and sketches by local artists. There are also various furniture and home accents and supplies stores for those looking to furnish or redecorate their homes or offices. Dining, like shopping in the Megamall is diverse. You have your choice of a well-stocked food court, little cafés, food stands at every corner and a variety of restaurants offering cuisines like Mexican, Chinese, Filipino, American, Japanese, and more. It’s just a matter of what tickles your fancy. If you want to grab a quick bite, try the food stalls located in front of the grocery on the basement of SM Megamall, there you can grab a quick roasted chicken sandwich, a box of sushi or even a bag of native sweets and bread at very affordable prices. When it comes to entertainment, SM Megamall comes prepared. Year round, almost on a weekly basis there’s a fair or an exhibit at one of the mall’s Mega Trade Halls. There are job fairs, product exhibits and seminars for everyone. There are also numerous cinemas if you want to catch a movie. It truly is quite difficult to get jaded at SM Megamall. How do I get to the SM Megamall? SM Megamall is located along Edsa Avenue and is in walking distance from the Ortigas Business area and Robinson’s Galleria in Mandaluyong. 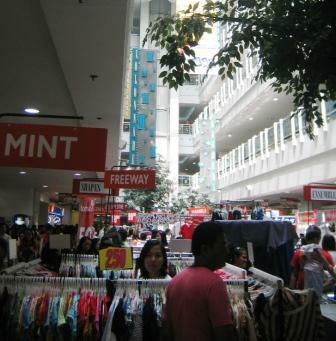 The mall is also accessible via Metro Rail Transit, exit Ortigas station and is a two-minute walk from the station. It is beside the Shangri-La Edsa Hotel and is also in walking distance from the Shangri-La Plaza. There are various modes of public transportation that has the Megamall as point of destination, try a bus, a public utility jeep or a cab.